It's that time of year again! 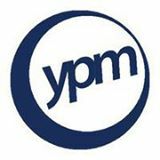 YPM's 2nd annual Christmas Gala! Come join us for a night of dancing, dinner and Christmas fun! We'll have a Photo Booth to capture the fun, door prizes and commemorative glassware for all in attendance! Cash Bar will be available - Cash Only, but there is an ATM on site.